We do not do “diets” here, we have lifestyle change. We do not not have “Before” and “After” pictures, we have “Then” and “Now” pictures. We have created programs that people look forward to, not ones they can’t wait to be done with. Here are some stories of our Prime Time “Players” and “Coaches” who have made a lifestyle change. We don’t focus on how fast we get results (even though most people get dramatic results in their first 4 weeks). We focus on how sustainable our programs are because really, the last thing you need is another diet! This community is all about making the rest of their life Prime Time! So I started this program being very skeptical but I trusted Dana and went all in! When I started my son had just turned a year old and I was still nursing him. First off all my milk supply went crazy in a good way! 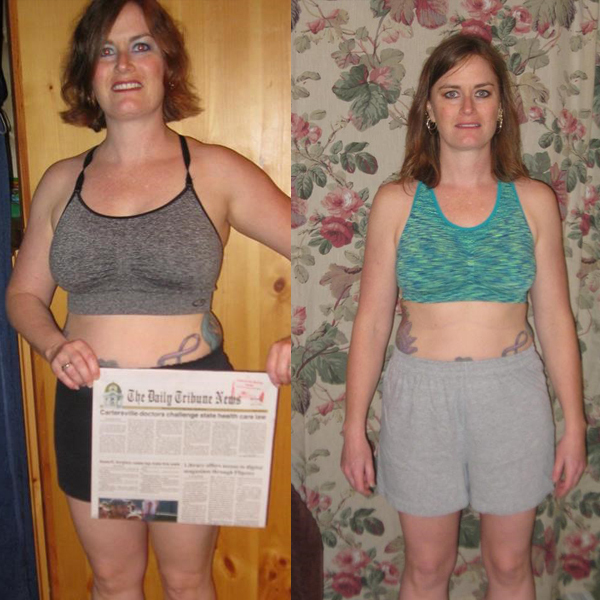 Second, third, and fourth I had a huge boost in my energy levels to keep up with the kids, started seeing the inches and some pounds fall off forever, and was sleeping so much deeper during the nights. No more midday naps for this stay at home navy wife/mom! I now have the stamina to keep up with everything and I ENJOY it!!! So far to date I’ve lost a total of 16 lbs and 37 inches; that’s 2 pant sizes down!!!! Seriously feeling amazing and in the best shape ever and it’s only going to get better from here!!!! 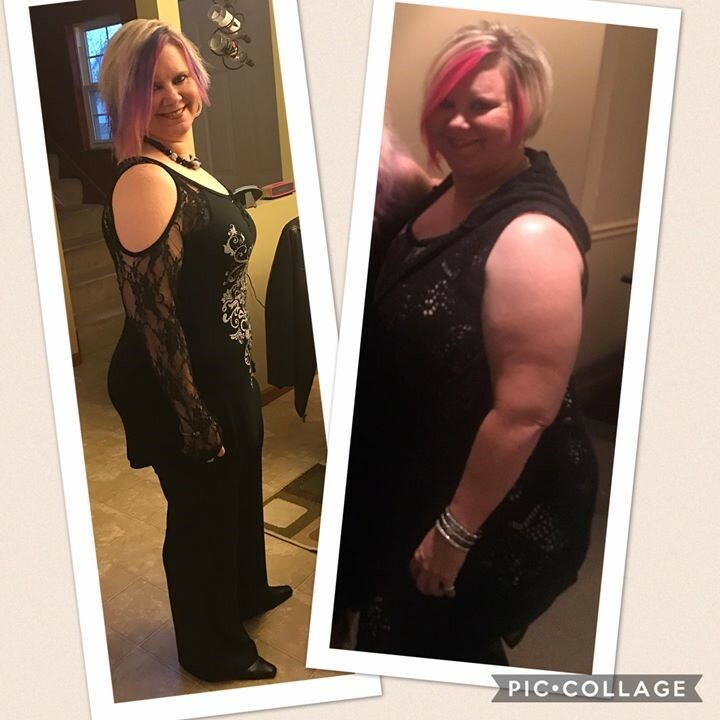 30lbs forever gone and over 55 inches lost!!! I’ve never felt better! Seriously I feel like I can take anything head on and have the long lasting energy now to do it all and more!!! Best decision ever! It was one year ago that I started this journey. I felt I always had an active lifestyle 🏌 🚴. 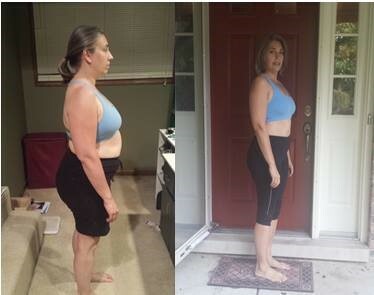 I did yoga 3+ times a week, ate healthy but never really experience the results I wanted to see. So it was time for a change. I embarked on my journey 🚢, this is where I found out how important good nutrition 🍽 is for the body 🏋. It was amazing how my body reacted. My energy, mental clarity, sleep 💤 and even weight ⚖ changed. I have released over 25 pounds and 20 inches. I haven’t shopped in a while and was so excited when I realized that I am down 2 pant 👖 sizes. As a cancer survivor 🎗, I have read many studies that address the correlation between weight and reoccurrence. I will keep striving for a healthy weight, to remain active and cancer free. Maybe you are thinking about taking that first step 👟. Maybe it’s your time to get healthy. I believe that everyone deserves to feel their best 💪. There are many 👪that want YOU to be healthy and around for years to come. Join me on the journey 🗺! 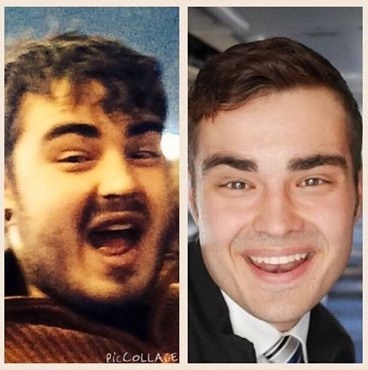 I still look at that pic on the left and think – that was me? Yeap, 5 years ago right before my 43rd birthday. 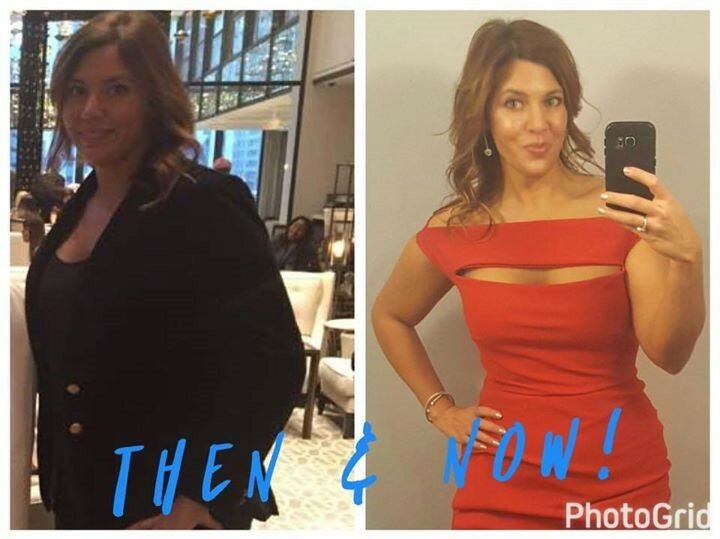 I remember the bloat, the brain fog, the lack of energy, the 2:00pm wall I would hit every day and needing a nap to get through the rest of the day, and the infamous muffin top! It’s almost hard to remember that “old” tired me. I am so thankful that things have turned around, figuring out a way to seemingly reverse the aging process and feeling like I’m 28 not 48. Thanks to the simplicity of this program, I have maintained this lifestyle for over 3 years! I love being able to say that age is definitely just a number. I am on a mission to help as many other tired mamas out there who are ready to feel alive again!! Who want to know that their best years are ahead of them and not behind them! Who want to put on those snug pair of pants or jeans and have them be loose! Oh what a feeling that is!!! I have been overweight most of my life, never had any energy, constantly having head discomfort, aches and pains just going up and down stairs, I was a couch potato. I did not eat healthy, lived off of Diet Coke, coffee and an emotional eater. I was wearing a size 22/24 in pants and a 3XL top, I was basically out of control but that all changed when I started this program. Today, I no longer get migraines, no more aches and pains, and some days I have more energy then I know what to do with! The only couch potato now in the house are my dogs, still drink coffee but only the good stuff. As of today, I’m proud to say that after losing over 100 inches and 93 lbs., I now wear a size 14 in pants and a LG/MED shirt. 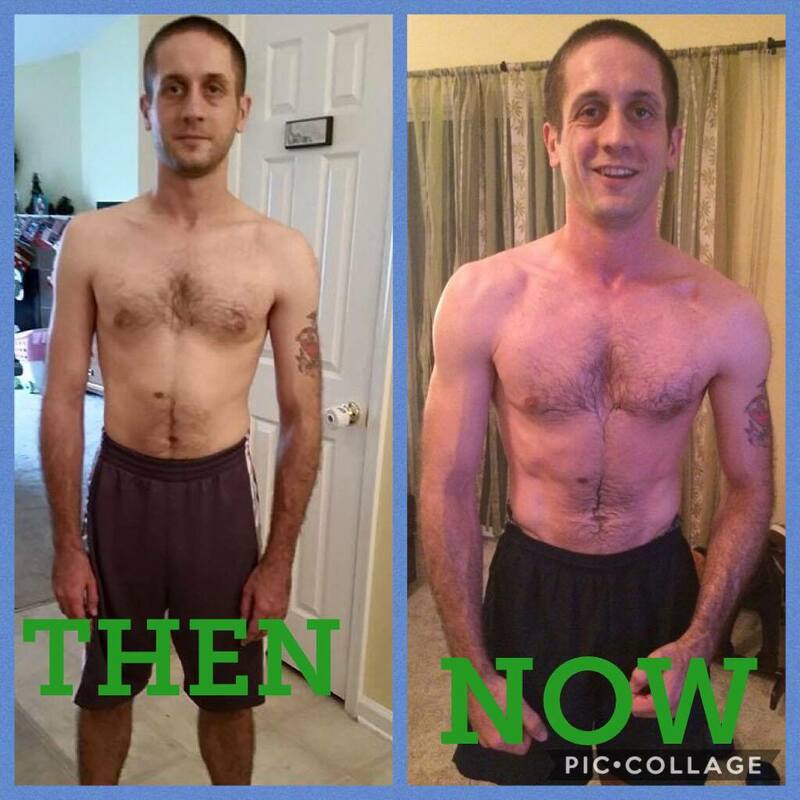 This is all thanks to my lifestyle change and the wonderful support of my family and friends and I cannot forget the AMAZING support from this community! 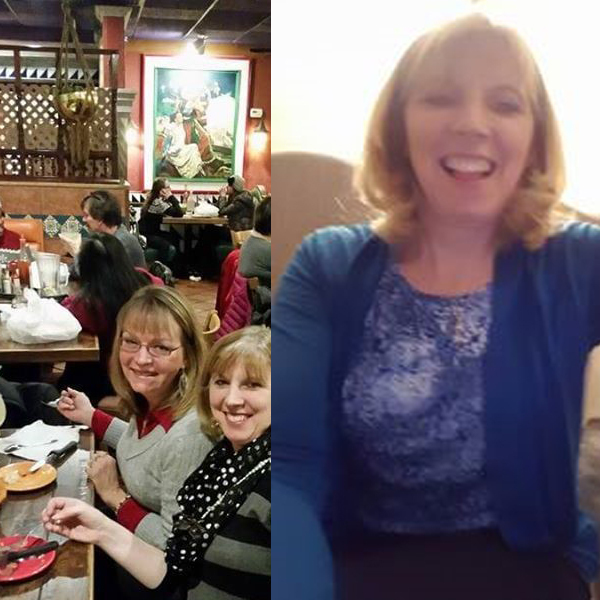 Last year on our trip to Napa we had the pic on the left taken. At the time I didn’t realize how out of shape I was, then I saw the pic when we returned from our trip. Wow! I was so disgusted with myself. I knew I had to do something. So on April 1st, 2016 I joined CrossFit Plainfield. Yes, it took me that long to build up the courage to do something. Things have been great at CF thanks to my amazing coaches, but I still wasn’t shredding the belly fat. 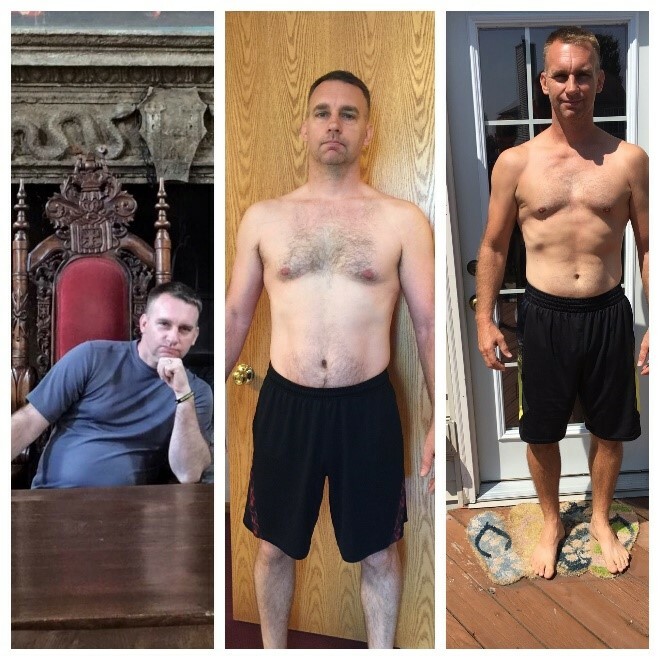 On my one year anniversary at CF, I started on a nutritional detox program (Middle pic). 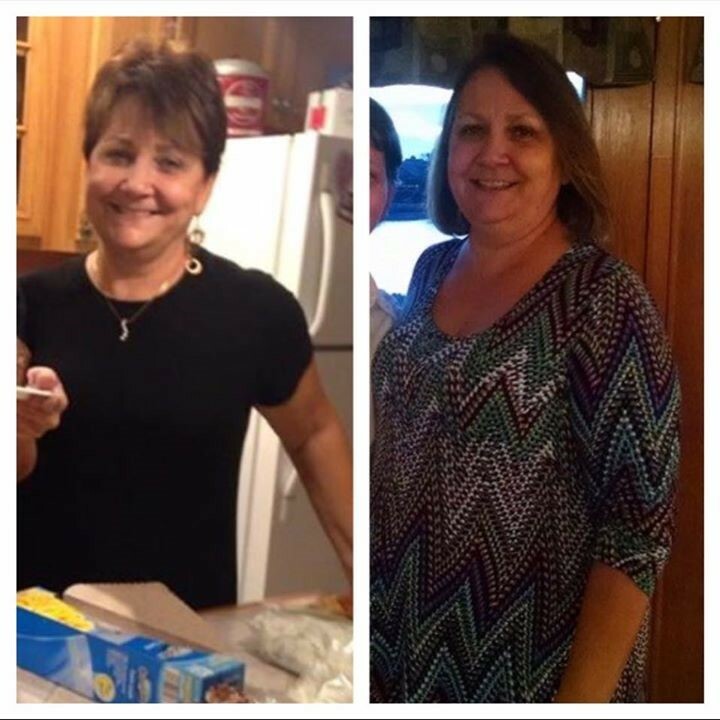 I have a couple of amazing health coaches at Prime Time HS that have helped me and hundreds of other people reach their health goals. I am in the best shape of my life at 46, I have tons of energy throughout the day, I don’t feel bloated anymore, and I sleep like a baby at night. Since I’ve started this program, I have known several men in their 40’s or 50’s with some pretty serious health issues and even death. It breaks my heart when people pass to soon. My goal is to help as many people as I can, reach their health goals and enjoy life for themselves and with their loved ones. I wanted to update my pictures. I have never felt so healthy! Total lost 34.5 pounds and 98.5 inches!! 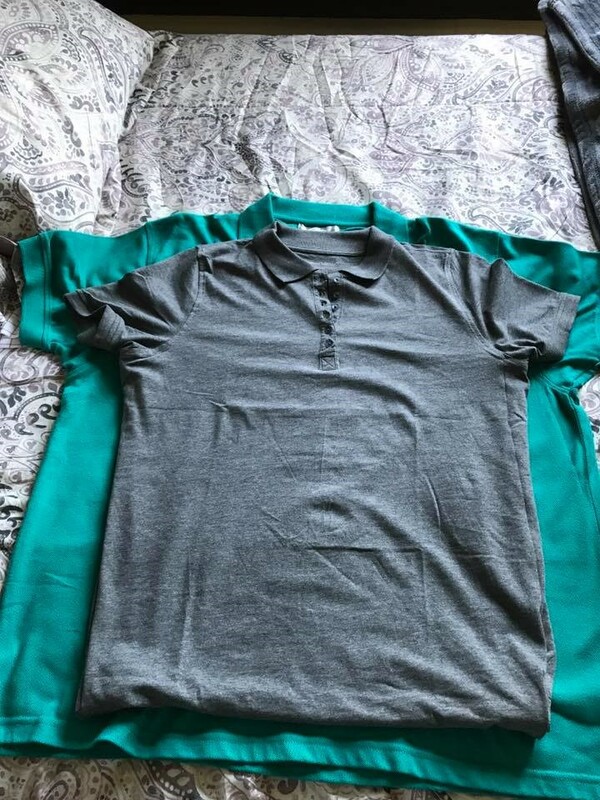 Went from a 18/20 in pants to a 12; tops 2xl to a med/lg (depends on the style). If you are thinking about it, JUST GO FOR IT!! You won’t be disappointed! I’m so glad I trusted Dana to get me started in this great program! I can’t imagine being without it now. The program is great & helps keep me on task, especially during the holidays! 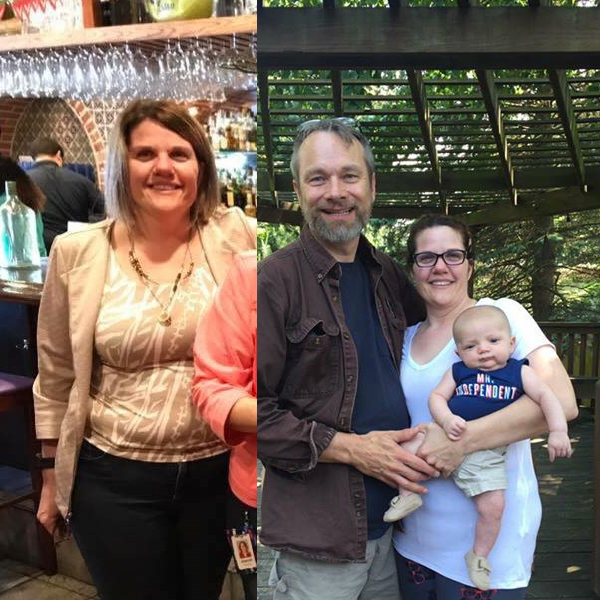 I have lost 52 pounds and over 72 inches since I started. I was 3 days in the program when I started noticing how good I was feeling. I was not retaining water any longer in my body and especially in my feet, after about 3 days! I am feeling fantastic. I have more energy than I have had since being a teenager. I am not tired all the time any longer. By giving my body the nutrition it requires I have seen my blood work improve. 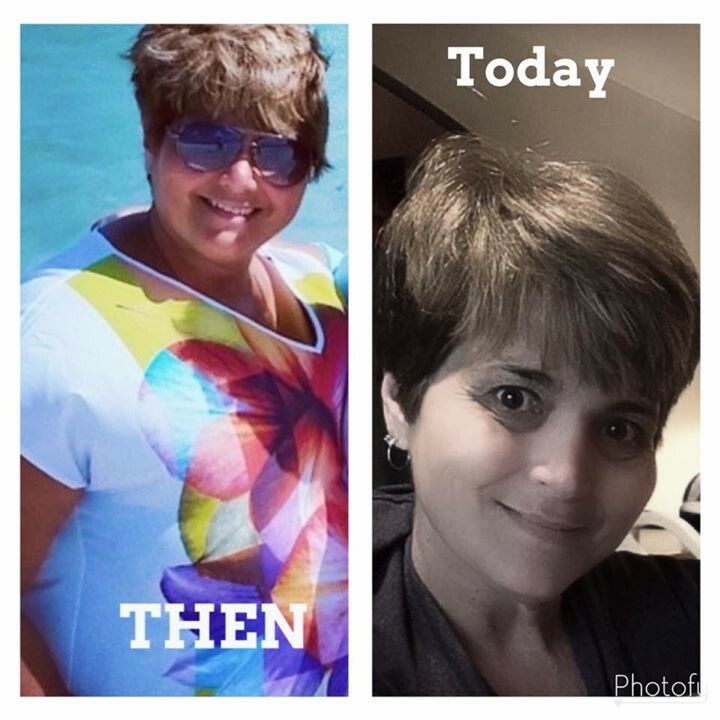 This system has changed my life for the better… for good!!! I had just left my doctor’s office and was told that I needed to lose 50 pounds or else my medications would be increased. I was already taking more than I wanted to and decided something had to change. 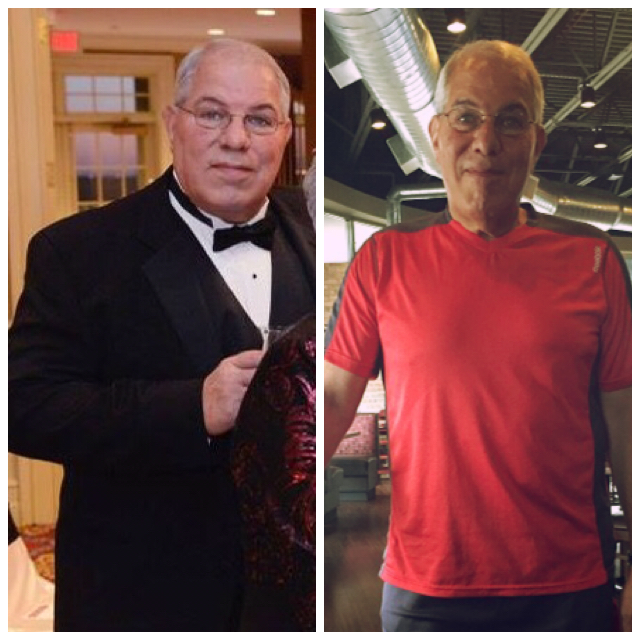 I reached out to John who I used to work with years ago and asked if he could help me lose the weight and avoid medications. With the help of this incredible team of people and the great one-on-one coaching, I’m down 60 pounds and over 50 body inches. I’ve gone back to cutting my own lawn, and the neighbors!! I can do things I never thought I’d be able to do again, and I’m more involved in my community than ever! This has been truly life-changing and I’ll never leave this team! It’s my new lifestyle! 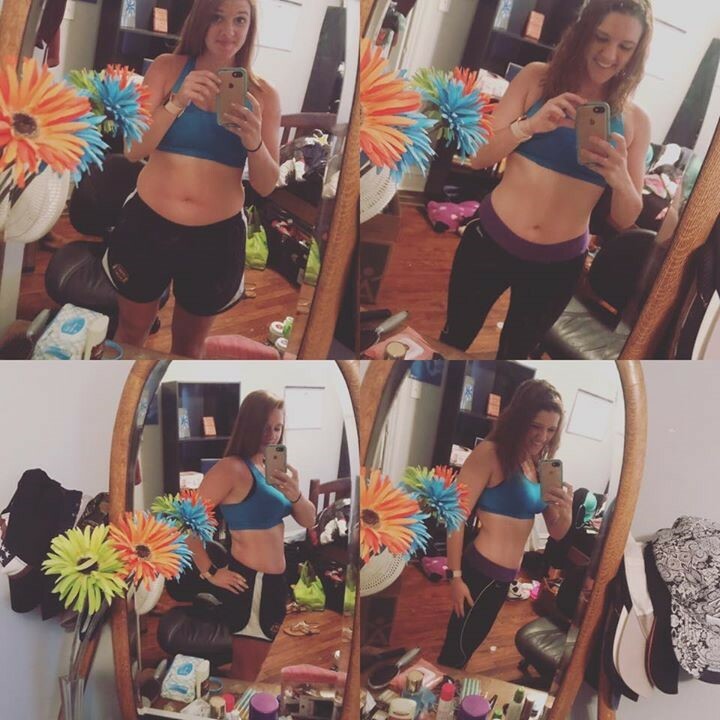 In July of 2016, I decided to make my health my top priority and make a lifestyle change!! 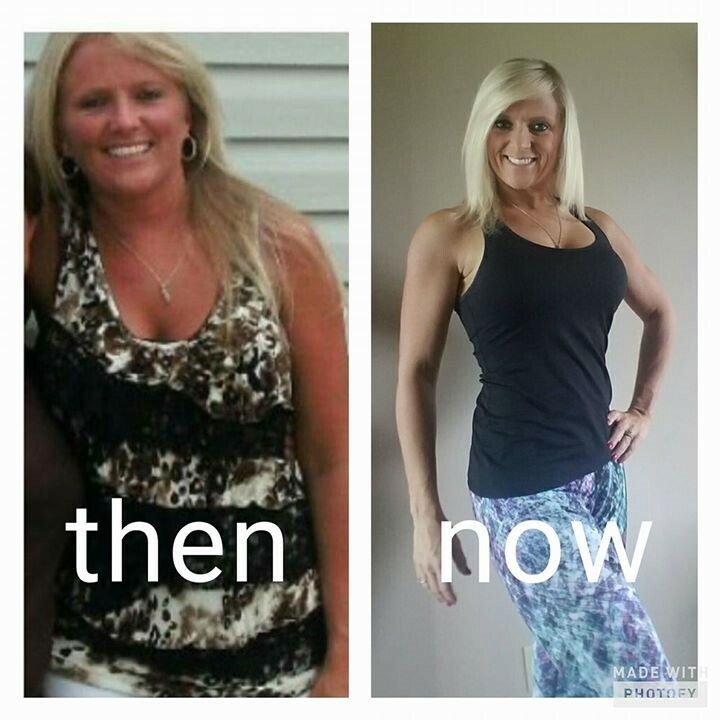 I was overweight, sluggish and lacked energy. Every time I needed to buy clothes, I was looking at a bigger size. 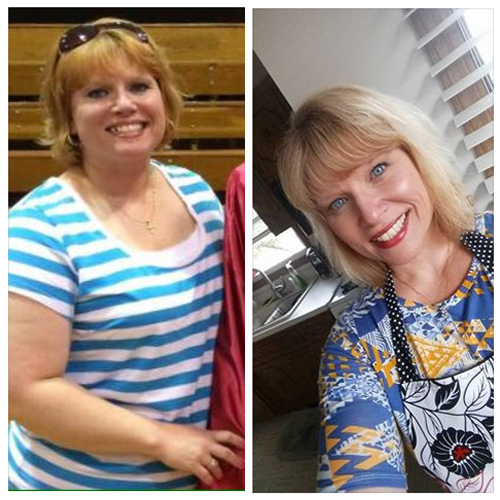 I was settling into middle age and was unhappy with the direction my health was going!! My friend introduced me to the nutritional program that he and his wife have been using for a few years. I was watching their progress and was curious what it was all about. So in July of 2016, Donna and I jumped on board!! I very quickly lost 15# and gained more energy than I was used to. 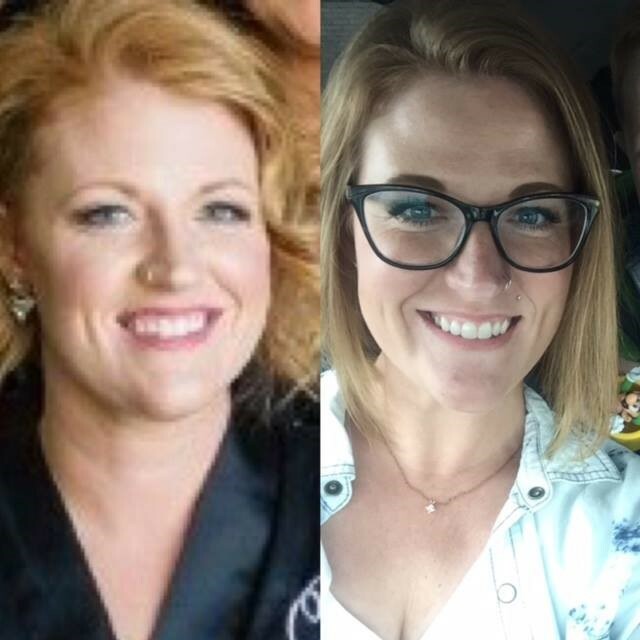 After a short time, I lost a total of 30# and 30″ and felt like a new person!!! This new energy and motivation led me to start working out and focus on building lean muscle. As, I’m on the “Back nine of my life” ⛳, this lifestyle change has been so important for me and my family! My doctor noticed these improvements and was excited for my healthy lifestyle change. She told me to keep doing what I was doing and continues to monitor my progress!! As I approach my 1yr anniversary using this plan, I am focused on finishing strong 💪 💪!! You don’t have to be Great to start, but you have to Start to be great!!! 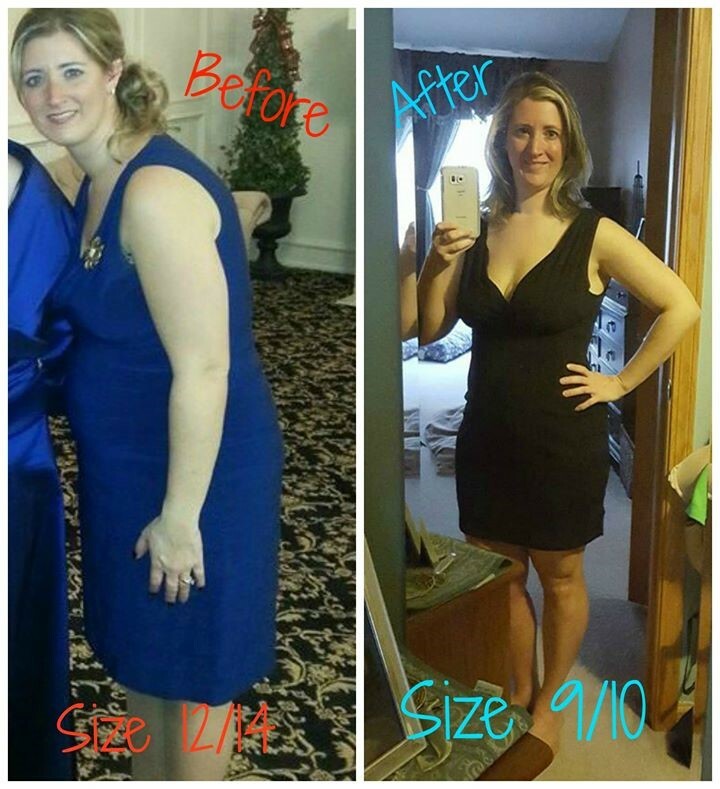 I started this program in October of 2013, along with my husband and son. I have a degree in Exercise Science and have always been fairly health minded. With that said, I could feel the effects of stress on my body, was often tired in the afternoons. After my husband had a health scare we knew we had to do something….but I was very picky! I found exactly what we needed, and it fit the criteria I knew was so important. In our initial 30 days we lost pounds and inches, but even better is how we FELT and still feel!! I’m so thankful to know we are getting every single amino acid, fatty acid and trace mineral our bodies need! This program is simple to follow, floods your body with nutrients and puts you back in control of your health! My parents asked me if I wanted to try this new health program they were doing. I was down! I could lose some weight after working many hours a day at an Ice Cream specialty shop and a gourmet coffee joint! 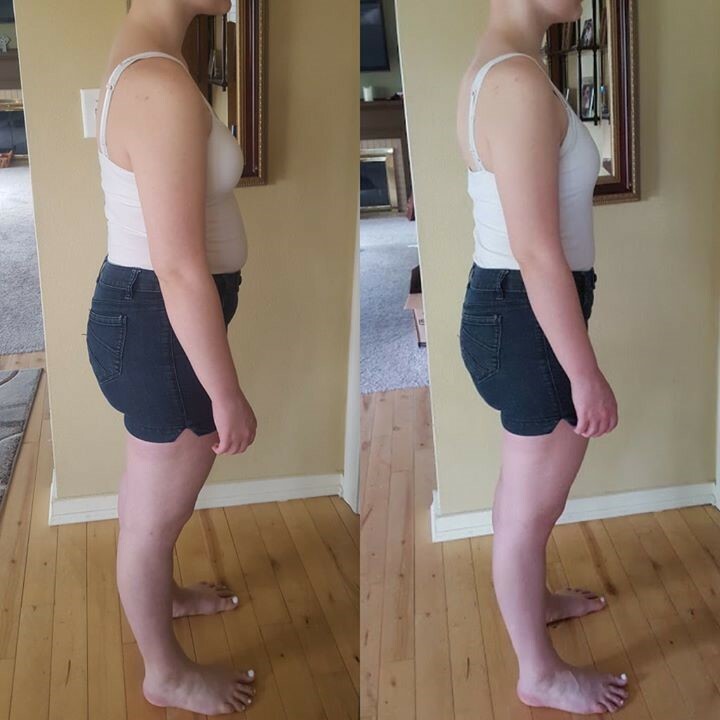 I lost 17lbs and 19 inches, felt great and surprisingly experienced relief from anxiety I used to feel from time to time. When I realized the greatness was from these nutritional programs I decided I will never give this up. Wow!!! What a difference a year makes. Most of what you see was done within the first few months. I began this journey because I was so exhausted. I just felt like how I pictured my grandmother would have. I had lots of inflammation, which made playing with my grandson very painful. The second picture I started at a size 20 and the first I am now a 10. I didn’t know how unhealthy I was until I saw these. I have a long way to go, but this system is absolutely amazing. These are the same clothes! I have not starved myself, and didn’t work out at all. I cannot wait to see the results when I do start working out! I feel so much better. I have motivation, energy, I’m sleeping well, and decisions are much easier to make. I haven’t been perfect with my diet (had popcorn at the theater last night), but for me this is a lifestyle change. I’m in it for the long haul! In just a really short time I have released 14.2 lbs and 21.25 inches are forever gone!!! 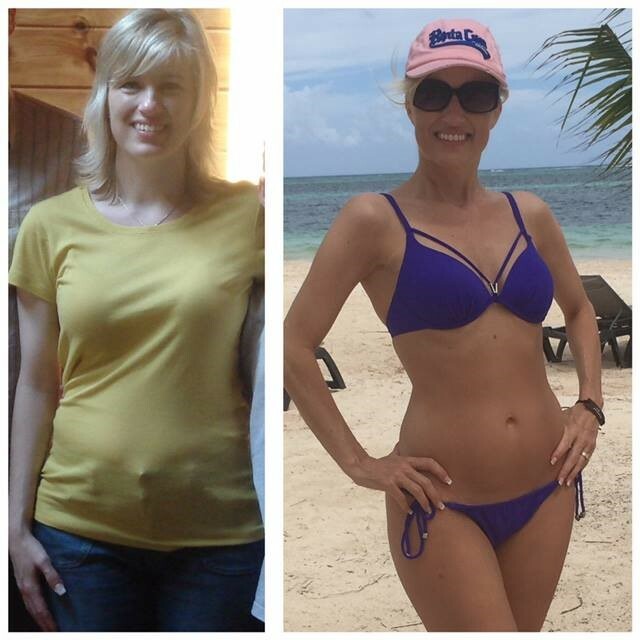 Getting started was the only hard part…the program is simple, healthy, energizing and EASY! I was tired, overweight and constantly had no energy. I was trying to be a wife, mother and a friend, but I was sleeping my life away. I was introduced to this convenient nutrition system by my brother and sister in law. I sat and watched them do the system for over a year before I finally decided this might be the answer to my prayers. I started the system in January 2015. 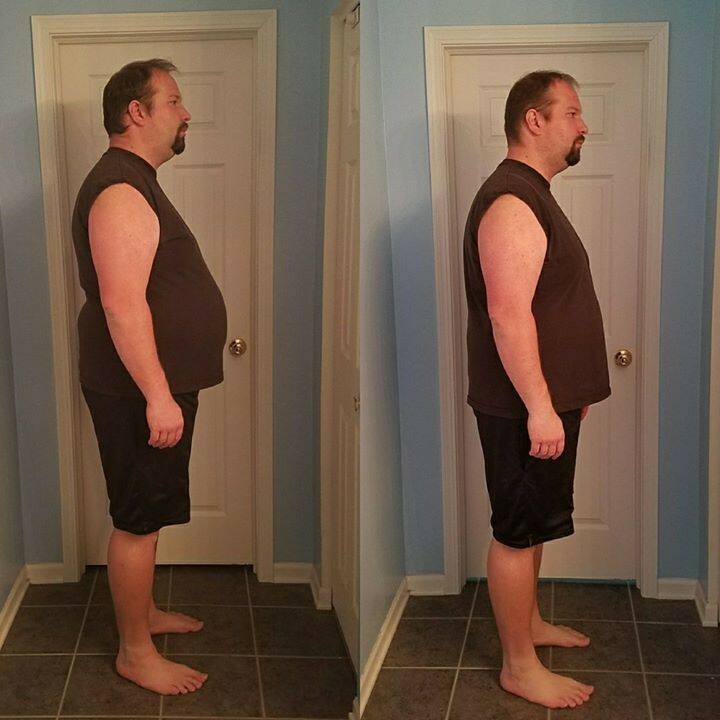 Shortly after starting the program, I was able to lose 10.5 lbs. and 21.5 inches. I went from sleeping 12-15 hours a day to a solid 7-8 hours. I have since continued to lose and gain lean muscle. This has been the best decision for myself and my family. There is no turning back now. When my wife Dana told me about her “Program” I avoided it for months! 1) I’m able to eat (chew) real food, not just “drinking” crap all day. 2) If this stuff takes like crap, I’m out! 4) I don’t have to be home to eat (tied to an appliance). I’m BUSY! 5) I don’t have to cook, chop, dice, etc. for “meal prep”. Again, I’m BUSY! 6) If this isn’t “portable” for when I travel or gone working all day, I can’t do it. 7) If you tell me I can’t have pizza, burgers, fries, ice cream or a cocktail ever again, FORGET IT! 8) If this is a DIET, like something I can’t wait to stop or “get off of” I’m not even starting! 9) I can’t be “chained to the bathroom” while I’m on this. No way!!! 10) If this makes me low on energy or I have to starve myself, I’m out! 12) If it’s not sustainable (I can’t incorporate this into my super busy lifestyle LONG TERM and get PERMANENT results so I never go back to being unhealthy, fat, tired, depressed and out of shape), it’s not worth it!! And you know what she said…….. “DEAL, you’re starting tomorrow! !” And the rest is history!!!! I can’t believe how easy it was! !Before and After. I have so much energy and I feel great. Down almost 3 sizes.!! Thank you E.B. and P.R. for introducing me to this system. 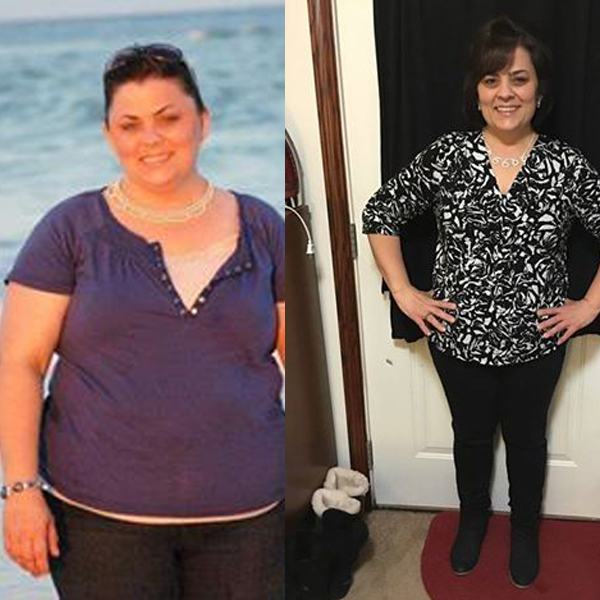 I started my weight loss journey in January after seeing photos of Dana –she looked phenomenal! 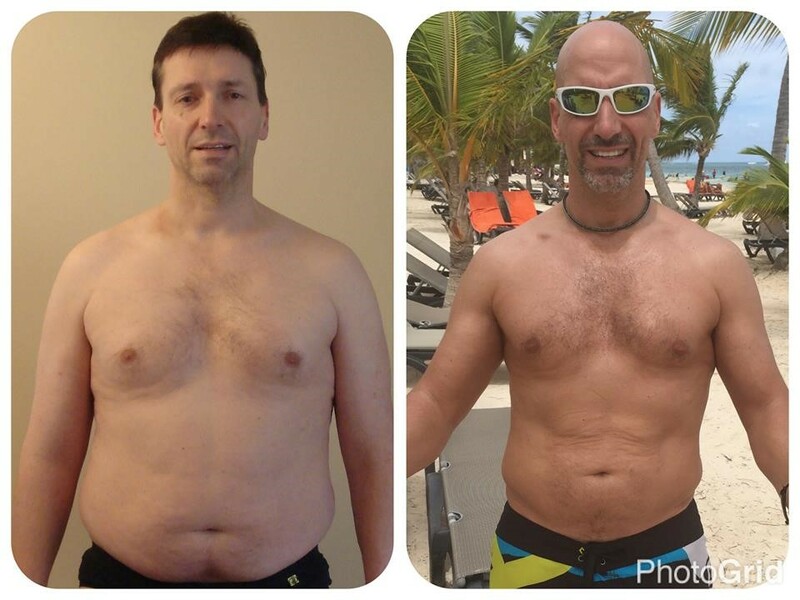 After years of excessive workouts, fad diets, and overall stress, I decided to give the program a try. IT WAS THE BEST THING THAT I EVER DID. The photos posted were taken ONLY 31 days apart! Best part is that I was never hungry or deprived, and the entire program felt effortless. It’s definitely an overall lifestyle change for me that I plan to maintain! 30 days ago, I made the best decision of my life! Prior, I had a hysterectomy. I was depressed and my anxiety was out of control. I dealt with a lot of my emotions by eating which made me and my body feel worse. I was running on coffee filled with sugar and high hopes I was exhausted. I felt my body running on empty at the end of every day. I constantly put my kids and my husband first. I struggled with eating and “diets”. I thought to myself “well this is life of having 2 young kids I guess” I WAS WRONG. I made the decision to better myself anyway I could I hated where I was headed after all what could be worse? I made the decision to put myself first and found out it had not interfered with me taking care of my family! Instead, it has made it better. My energy is insane! I sleep through the night! I feel great inside and out which has made my mood 100% better. This lifestyle change has been the best thing I have done for myself. I’m so pumped to see what the future holds! My 8-year-old son told me today that my tummy was smaller….so I thought I’d go ahead and post my one month pictures. I am still writing my story! I was tired all the time and felt overweight. Until I trusted my friend to start my journey to a healthier me. What a difference three weeks can make! 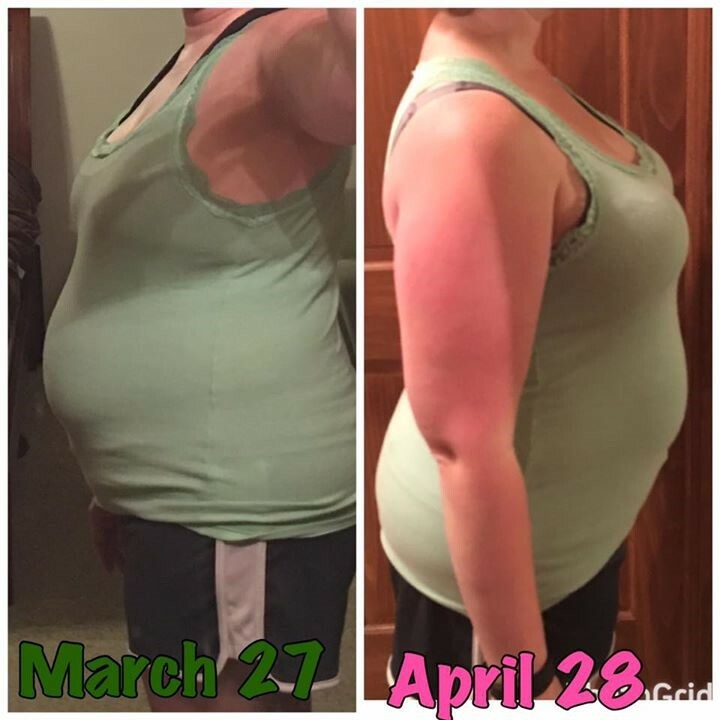 I am very embarrassed to show my stomach BUT I am SO happy with my results after just getting started! I carry so much bloat in my stomach and seems to be the place I carry the most excess weight. I am down 5lbs, 3 inches in my natural waistline and 1.5 inches along my abdomen. I think the most important change for me is in my general mood and energy level. It feels like a million bucks to go through my day with 3 busy kids not feeling sluggish and irritable. So, I’ve on this system for just a short time and I am down a total of 19lbs and 48 1/2 inches overall! Down from pant size 16 to a 10! 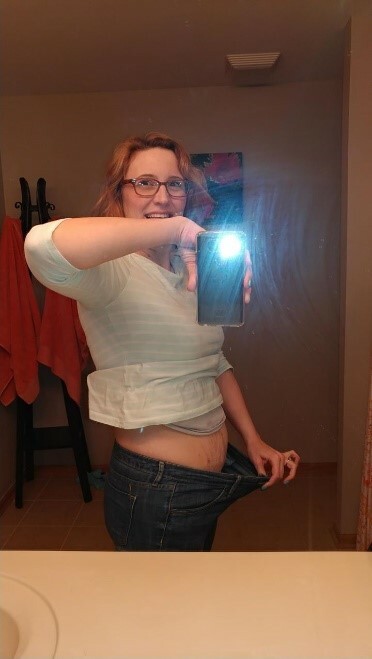 Here is a picture of me wearing my old pants that i could barely button because they were so tight! So easy!!!! 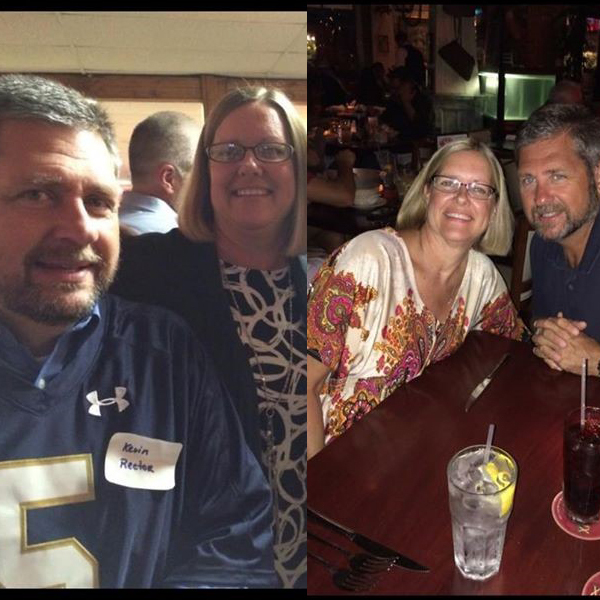 These are photos of me a year ago homecoming and this year! 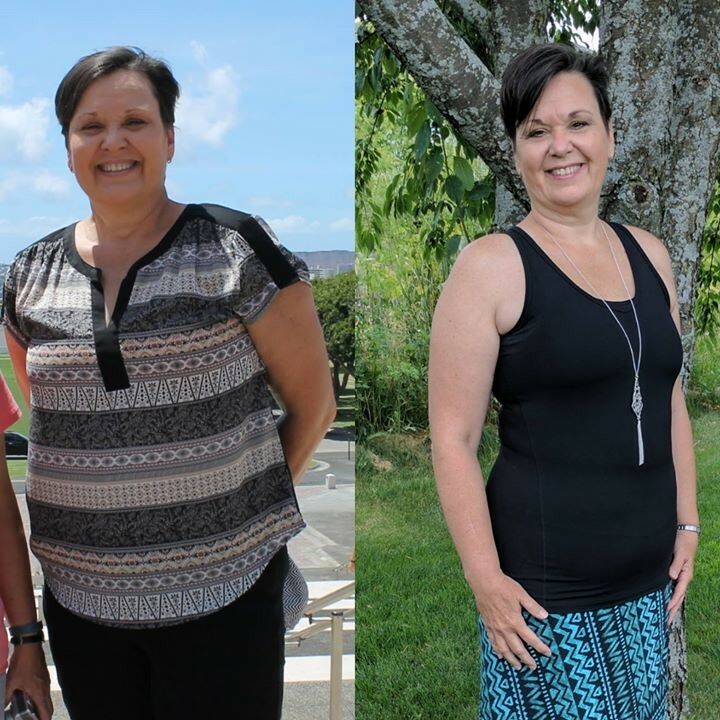 I started my get healthy journey at 198 pounds and 388 inches (of my body measurements! ), and a tight size 14! Today, I am at 145 pounds and 316 inches and a comfortable size 7!!!!! So that’s a total of 72 inches and 53 pounds!!! Not to mention all the energy, health, nutrition and no more achiness and a whole team of support! This new lifestyle works and I feel amazing!!! I am so happy that my wife and I started our life style change. I quickly released 26 pounds and 25 inches. I have been very happy with the visible results but even happier with those “hidden” results. Before starting on the program, I felt like I could take a nap every day, and it was hard staying awake while relaxing with my family at night. However, since I started that has changed and I now have enough energy to make it through each day. I have enjoyed every day on this program and cannot wait to see what happens as I continue it. I started after a trip to a pool’s water slide where one of my cousin’s kids asked if I was pregnant…no buddy just overweight. That was 9 months ago and I am happy to say I no longer look pregnant. I have actually reached my weight loss goal and am maintaining it nicely. I’m down 3 pants sizes! This is a lifestyle change that is far easier to maintain than any diet. The support system of family and now friends on here is amazing. The pic on the right was me on 9/24/16 at my sister in laws baby shower exactly one month before starting my nutritional program. 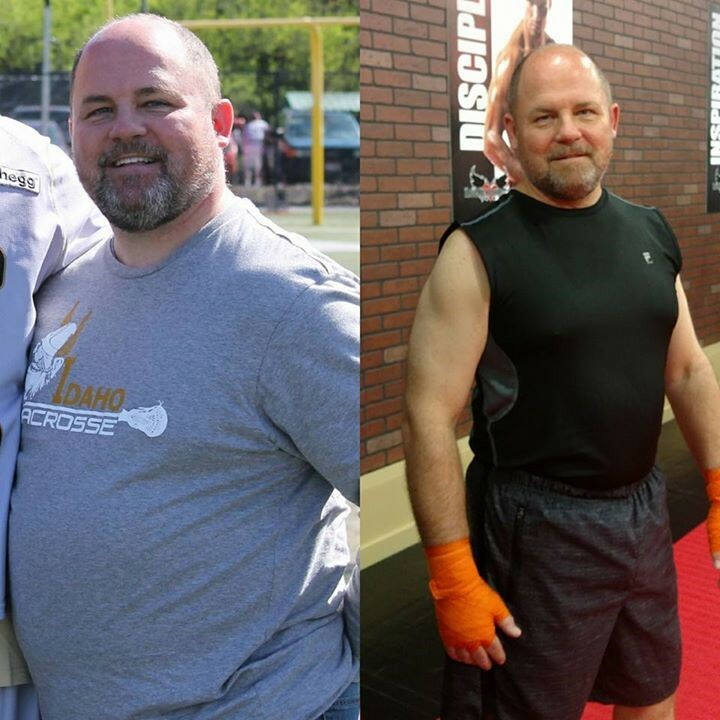 The pic of me on the left was taken on 1/28/17 – only three months after starting this program. I haven’t been to the gym once nor am I starving myself or hungry all the time. If I do get hungry I eat. Have I eaten unhealthy crap? Of course. This is the first time I’m able to get right back up the next day and the weight is still melting off me. I feel so good and so energized. So glad I said YES! This is my Mom! 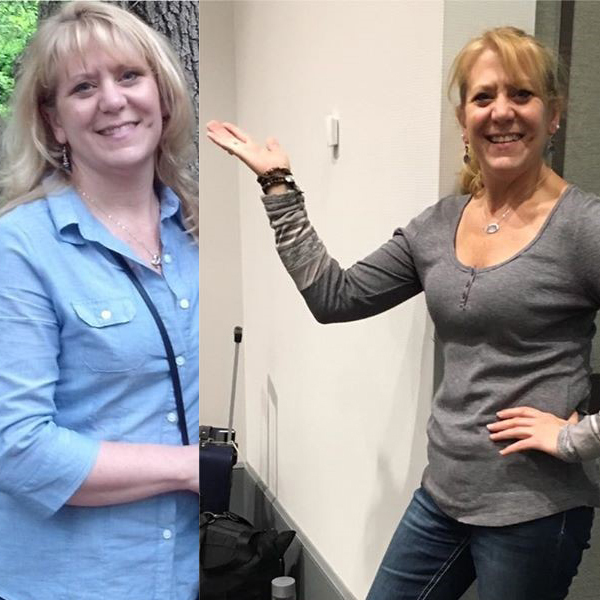 She started a few months after me because she saw the immediate transformation; She’s a type 1 diabetic, has genetic thyroid issues, chronic cough, etc., but she decided enough was enough and wanted the change physically. 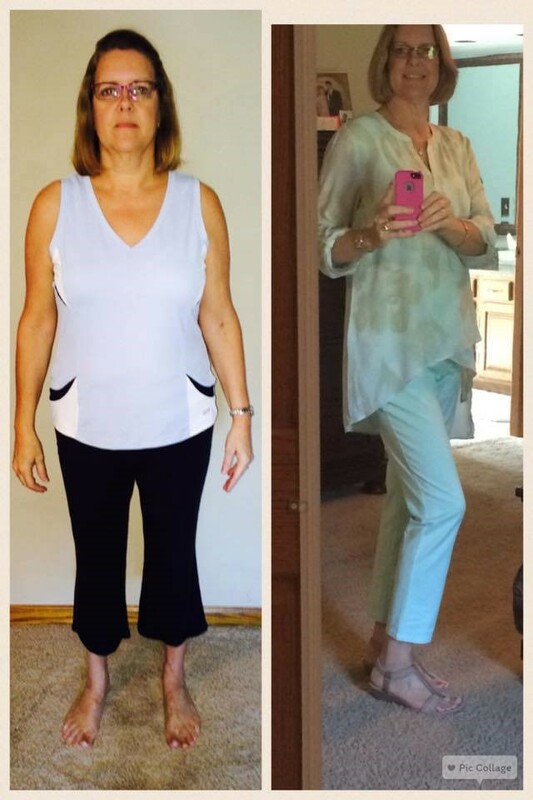 She feels more long-lasting energy, sleeps better (less of a cough waking her), she lost lots of inches and 2 pant sizes!!! So proud of you Mom! 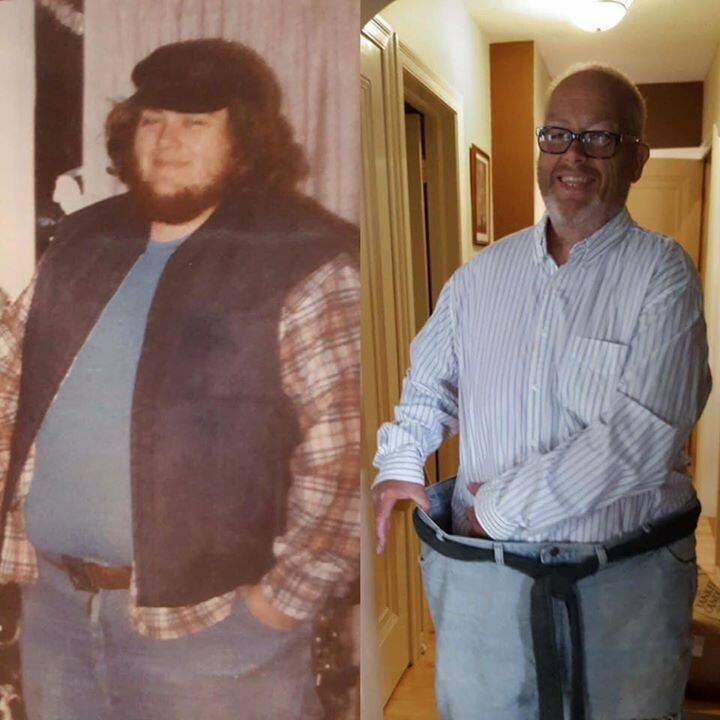 From my heaviest weight at close to 400 pounds to my lowest weight in the past 40 years at 259. I feel pretty good about this and thank you so much to my wife and my daughter I love you both very much. This works it will change your life! Changed mine. 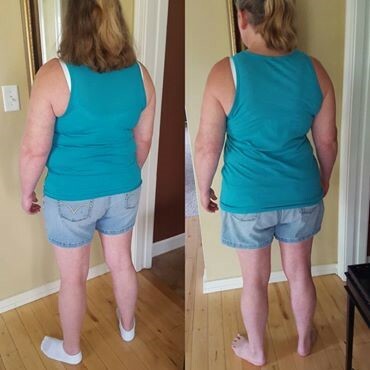 On the left 60 inch waist the right 44, in the last 40 years I’ve tried just about every program there is and I like this it’s easy to follow and it works! This is our 15-year-old daughter. She struggled with building lean muscle and getting the ‘shape’ she desired, regardless of weight. 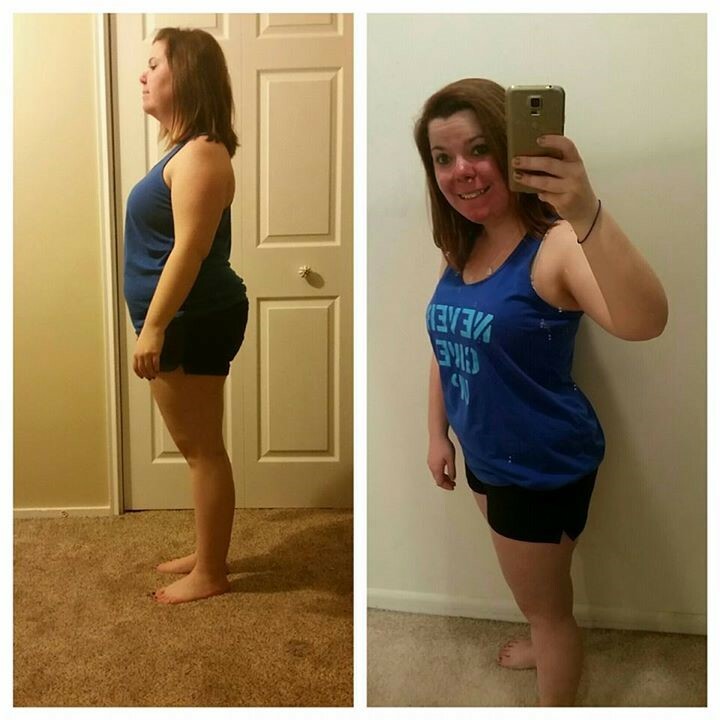 She lost 8.8 lbs., and a whopping 21.75 inches. 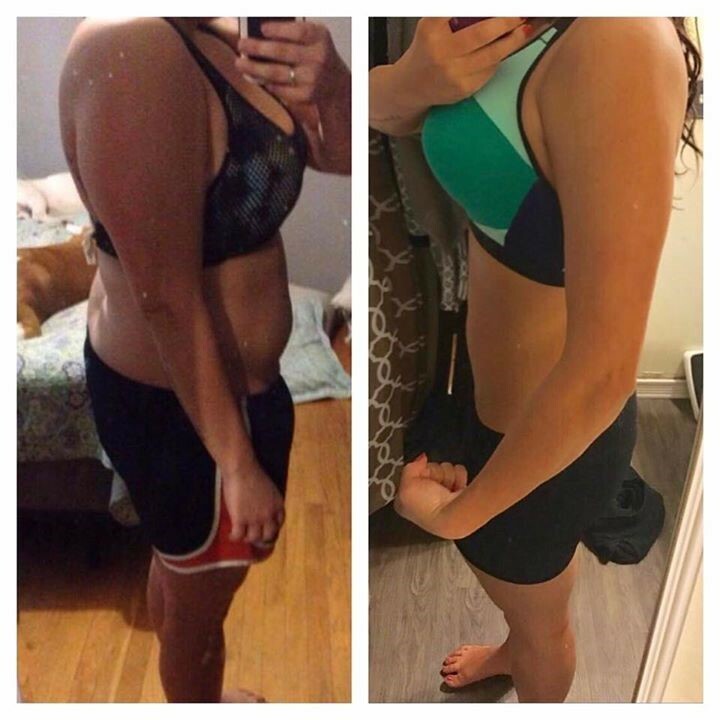 At the same time, she gained lean muscle and the confidence to take on the world! I am so proud of all you do. I am so blessed to be able to homeschool you, and I cannot wait to see you on stage in 2 weeks! I can’t believe I’m down 15.5lbs and quite a few inches ALREADY!! People are starting to notice the difference! 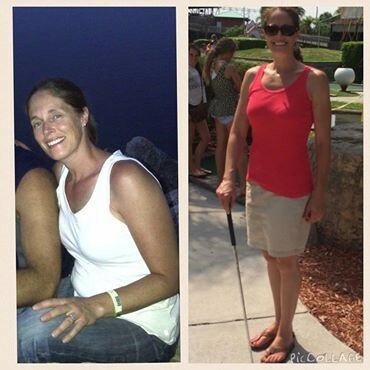 Thank you so much for helping me get over this last hurdle to a happier and healthier life and big shout out to K.G. for being the best mentor ever!!! 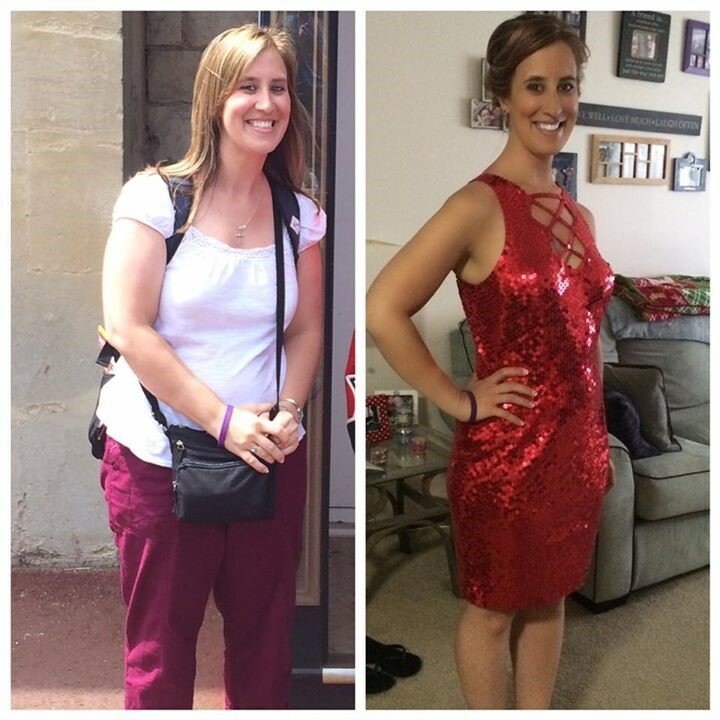 One year ago, I started this program one year ago because I was tired of the caked-on baby weight that I just couldn’t lose and tired of not having enough energy to get through the day. What’s really incredible is that when I started I was literally stuck in a chair icing my torn ACL. Instead of gaining weight due to no exercise or mobility, I LOST 12 lbs. and 20″!! 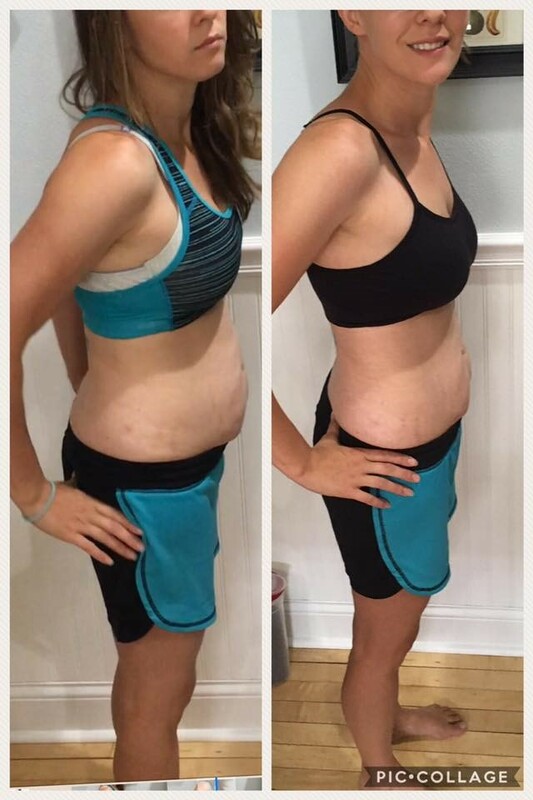 I gained energy, strength, and lost weight everywhere on my body! This program is life changing in so many ways. Now I am in a size 9/10 that I haven’t been since 2005 before I had 3 kids. I have also noticed a difference in my skin as well, it is clearer looking and free of toxins. If you are tired like I was and ready for a change, now is the time! Before I started this, I was very unhappy with myself. Always wearing hoodies to hide my belly. I hated looking in the mirror because of how I looked because of my belly and acne. I had to have at least one coffee every day to keep me going because I was so tired all the time. Never really wanted to do much. Then my friend L.M. messaged me telling me about this program and asked if I would do it with her and right away I said yes and I am so glad I did! I’m just getting started and I’ve lost 15 pounds and even went down 2 pant sizes! I have so much more energy without coffee! My face is almost fully clear! I just feel so much more happy and confident! I haven’t felt this good about myself in a really long time. If anyone who knows me I always took care of everyone else but always slacked on me. Now I can say that I’m finally taking care of myself and I’m the happiest I’ve ever been. It’s been almost a year since I posted about my weight loss journey. I am excited to share that not only did I lose 40 pounds, but I have kept it off and look and feel great. When you are in maintenance mode, sometimes you don’t pay attention and just go through the motions. However, I was recently going through a rough patch and paid attention to the fact that my body had more energy and mental clarity when I cleansed and took care of myself. It reminded me of one of the reasons other than weight loss that I continue to focus on self-care activities. If you are looking for more energy, clarity, weight loss and/or a healthier body, feel free to reach out. Don’t let fear stop you from taking care of you. It all begins with a CHOICE to invest in yourself and its more than worth it. Christmas, 2014, I weighed almost 180 pounds. 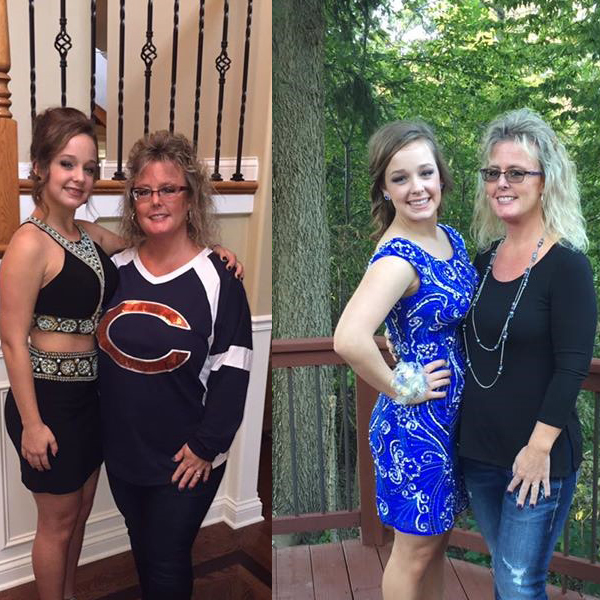 By August of last year, my daughter and I embarked on our “get Health” journey. This morning, I weighed in at 145 pounds, and have lost 41 inches overall. Thank you, C.H. and C.T. for introducing us to this amazing program. It has changed the health of our family, and the way we think about food and nutrition. I just want to thank you for introducing me to this community. It’s been almost 2 years since i started. I have kept off the 23 pounds I initially lost and went down 2 sizes. However, the best part is how much better I feel. I sleep better and have so much more energy. I also like that it is not a diet it’s s lifestyle. I can have a few splurges and not completely fall off the wagon. I can cleanse and get right back on track. Dana, it’s almost my 2 year anniversary! I needed something different than a diet and eating healthy. My schedule is busy and always on the go so getting to the gym is difficult. Since I have started I have gained energy, better sleeping habits and lost cravings for foods I would snack on! I started out at 188 lbs and currently weigh 175 which I can’t believe!! I feel amazing and I am beyond excited to continue a lifestyle that will not only benefit me but my family. 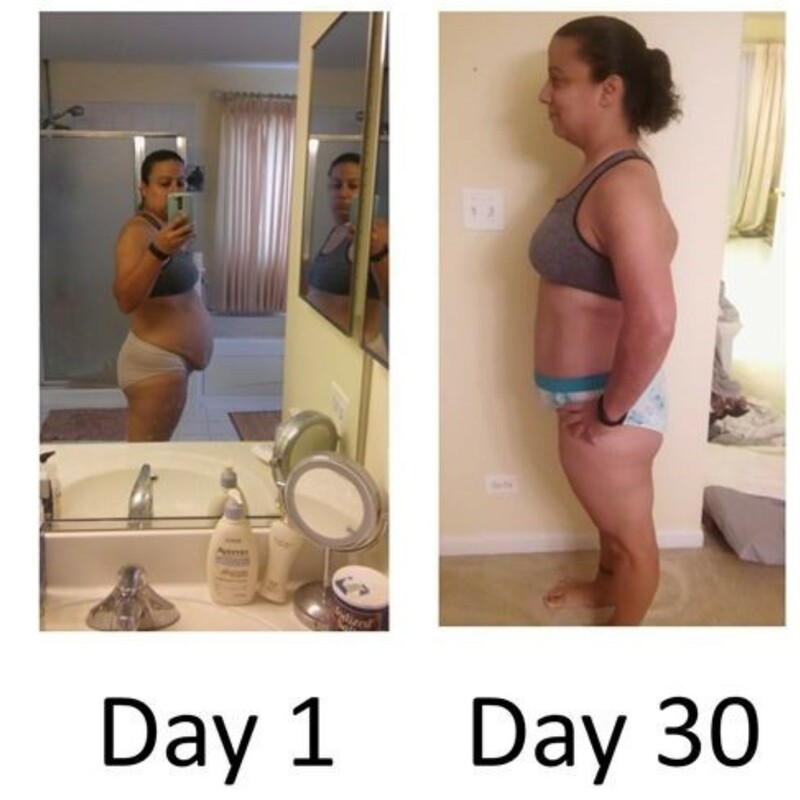 My husband Michael and I started this system to lose weight and get healthy. I do not have the inches lost count but Michael is down 17 lbs and I am down 9-1/2. We are feeling energetic, clear minded and healthy. No cravings!!! So happy we started the new year with a healthy mind set 😊 thanks again Dana and John! I am so excited at my results so far. Thanks to S. B. for getting me started. I wish I would have started this journey earlier. 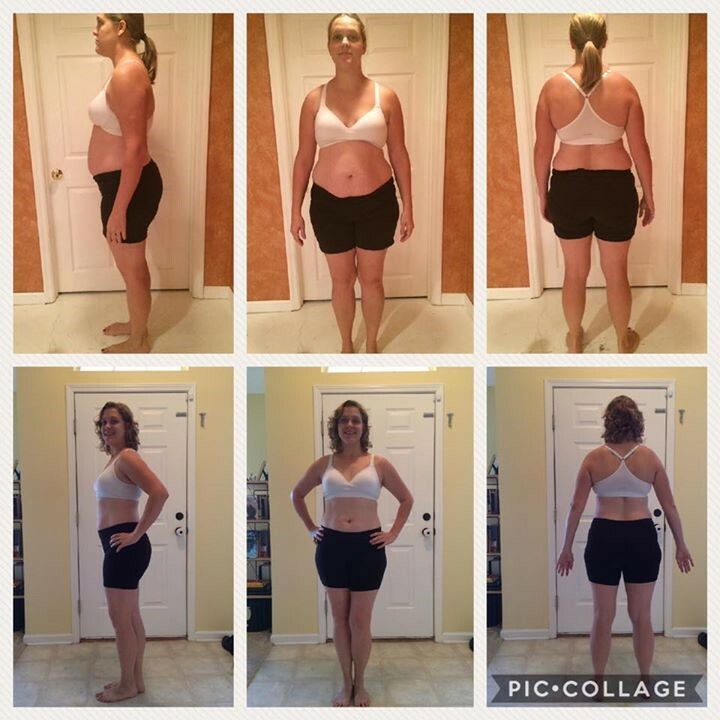 I have lost 28.5 inches AND 20 POUNDS!!! I feel amazing, have more energy, and look thinner every day!!! Your headspace wanders and it’s tough to make the right choices. After watching friends getting results with this system I am finally in a headspace to make the time for me to get me back on a healthy path.. and the best thing is it’s been really easy 😍 … this superfood nutritional cleansing system is cellular and entirely natural.